Should We Spend Money On Vietnamese Hair Extensions? Home	→ Blog → HAIR EXTENSIONS → Should We Spend Money On Vietnamese Hair Extensions? Many hair suppliers, including Layla Hair, is concentrating on the market of Vietnamese hair extensions. It’s more welcomed recently for specific features and transparent origin. For people who have been using hair extensions for years, it’s no need to talk much about this trend. However, anyone who just went for hair extensions should get to know this fantastic selection. 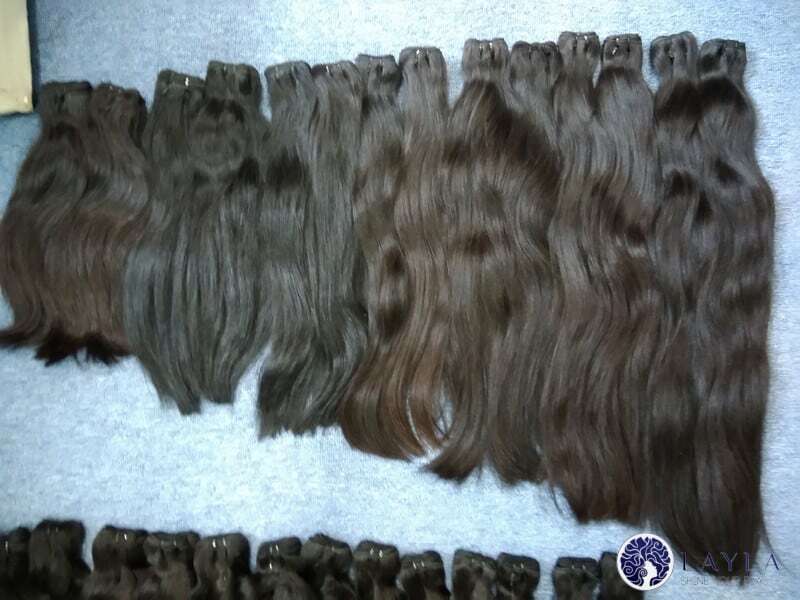 Besides, it’s good to start seeking trusted suppliers for Vietnamese hair extensions from now on. 4 Should we spend money on Vietnamese hair extensions? 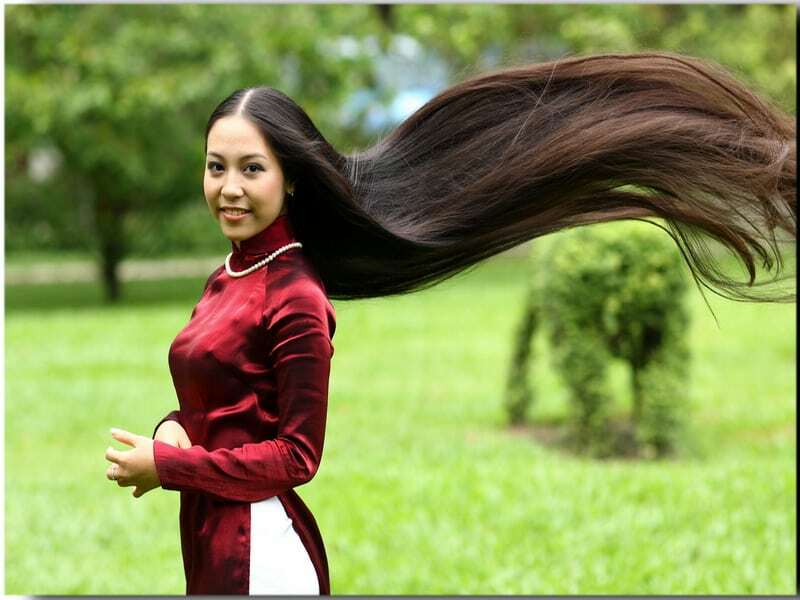 Vietnamese hair is well-known for its thickness. Each strand of hair appears thicker than other types of hair, for example, western hair. Because of the thickness, the hair usually looks healthier and silkier. The texture of Vietnamese hair is stunning. Straight hair can tell us something about Vietnamese, too. 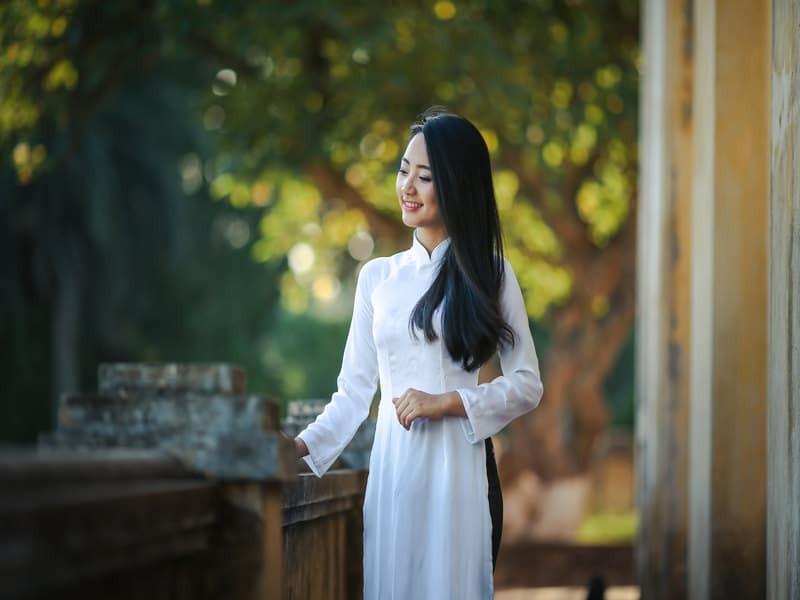 Long straight hair in combination is the truly traditional look of Vietnamese back in the 1900s. However, not every Vietnamese was born with straight hair. It can appear with crispness and fuzzy. People with that hair usually find a way to straighten their hair now. One more common feature about Vietnamese hair is the color. Almost all Vietnamese have black hair. It used to be the standard for beauty in the old time. Until now when women approach more and more trendy colors, black hair somehow can speak the voice of the cultural characters. Because of all those characteristics, this type of hair is collected and made into hair extensions and closure for women everywhere. The products inherit some of the good points. Most of the Vietnamese hair extensions are collected in households or temples. There used to be a time when mobile dealer drove around villages and ask to buy hair from people. Vietnamese women were told to keep the hair long and straight. When the modern lifestyle comes with many attractive new haircuts, they start to sell their hair then get the new look. 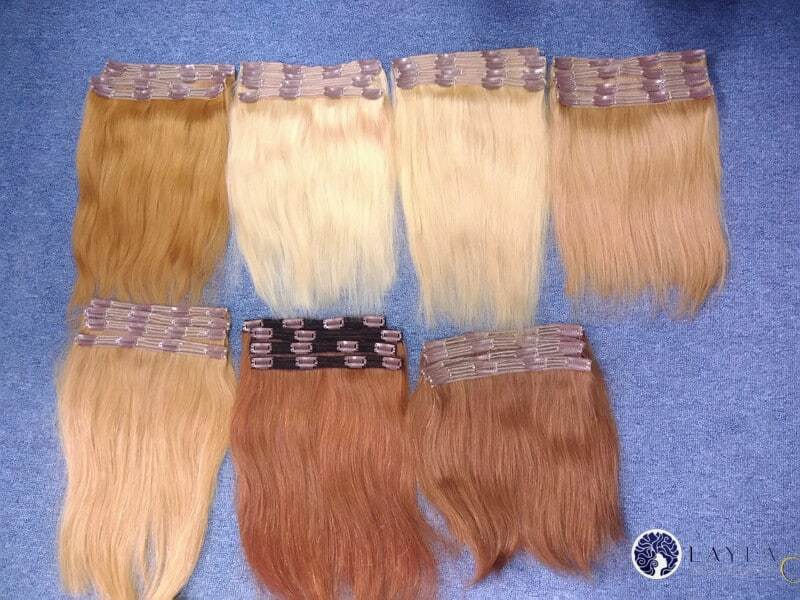 By how people collected hair and the available supply, the material source for Vietnamese hair extensions are transparent and trustworthy. The hair is collected nicely by experience vendors, so the final products come out high quality. Because of thick strands, products made from Vietnamese hairs usually durable. Lifespan for Vietnamese wigs typically goes around 10 to 12 months. Vietnamese people in the past prefer washing hair by herbs rather than chemical shampoo. Therefore, the hair is firm and robust. As a result, even after heat or dying processing, hair extensions originated from Vietnamese women keep the texture well. Manufacturers often keep it in the dark color like brown or black, green black. However, it’s possible to fetch a white hair extension. Many hair suppliers, for example, Layla Hair, have their products manufactured on their own. They have got infrastructure and human resources to produce from available materials. As a result, we trusted those suppliers. They can guarantee product quality and hold on trends on the market quickly. Which Is The Best Hair Extensions For Volume? How To Choose Excellent Hair Extensions For Thin Hair? Layla Hair is one of reputational 100% human hair extensions suppliers which give you the best options. We focus on Vietnamese and Cambodia hair extensions. Layla Hair has a workshop where we were processing hair extensions manufacturing. Therefore, we take control of styles, product quality, origins of the material. We believe that with all those of qualifications, we gain the reputation regarding quality and trends. Besides, among many types of wigs, we sell human hair and Remy hair as the main products. Our strong point in comparison to other supplier is the focus of the product line. Coming in the catalog of Layla Hair, you can find high-class hair products, that can stay in good conditions for a long time. That’s a purchase for long-term using. Plus, the price is affordable. We are pricing according to wholesale. We provide online shopping services with 24/7 customer assistance. There are many channels to approach us. Besides, we know the shopping habit at the moment, people want to check product quality before accept paying. We have published all of the feedback from the customers all around the world. They are the best judges for any online purchase. There are Remy and non-Remy hair. Both of them are 100% human hair, but each of them belongs to different classes. Non-Remy has been collected around, not from a single donor. A bundle of non-Remy is the group of long and short hair, in multiple colors and separate conditions. Non-Remy hair is low-quality material that is cheap and vulnerable. We leverage our market on Remy human hair products. It’s the line that we evaluate the premium. This type of hair products gains its reputation for specific reasons. You can hardly find the same characteristics in synthetic or western hair extensions. We believe in the quality of Vietnamese hair and the characteristics that hair extensions carry on. You are investing on hair extensions once in a year if you choose Vietnamese type. For all of the valuable characteristics that Vietnamese hair brings us, it’s worth a try. It must be a reason why Vietnamese hair extensions have become preferred than other types. Even it cost much more money to buy authentic Vietnamese human hair, but the money is well spent. Whoever will not fall in love with such natural hair which rippled with every of your movement? However, it’ a must to track on which is a reliable supplier to get your order. The look is not on how much money you pay but the authenticity of the hair you bought.